With a growing international student body and global workforce, language acquisition has become essential for improving communication both within our local communities and abroad. To help provide your college with language-learning resources, we’re offering 30% off a one-year community college subscription of Mango Languages, with the first three months free. Complete the form and a friendly member of our team will be in touch to help you create your exclusive subscription. *Special pricing on community college subscriptions only available to new community college customers in the U.S. Only those community colleges who are not currently, or have not, in the previous six (6) months, been a Mango Languages customer will qualify as "new community college customers" for this offer. A contract for a community college subscription of Mango Languages must be signed by September 1, 2018, to qualify for this offer. 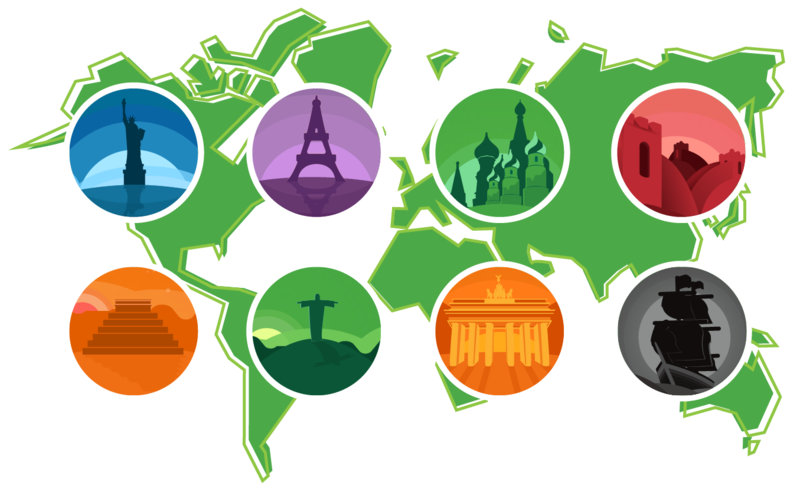 Through comprehensive language courses crafted by expert linguists, including the less-commonly taught languages, we make sure to keep language learning fresh through our diverse offerings. Help your students strengthen everyday communication skills with native-speaker audio, relevant culture notes, and with our unique specialty courses, which include business language courses in Mandarin Chinese and Latin American Spanish. Help prepare your English learners for academic success with a range of exclusive English courses, including English for Spanish speakers and English for Korean speakers. Take a look at our full list of courses . Our free mobile apps for iOS and Android mobile devices allow your students to take their learning with them wherever they go! 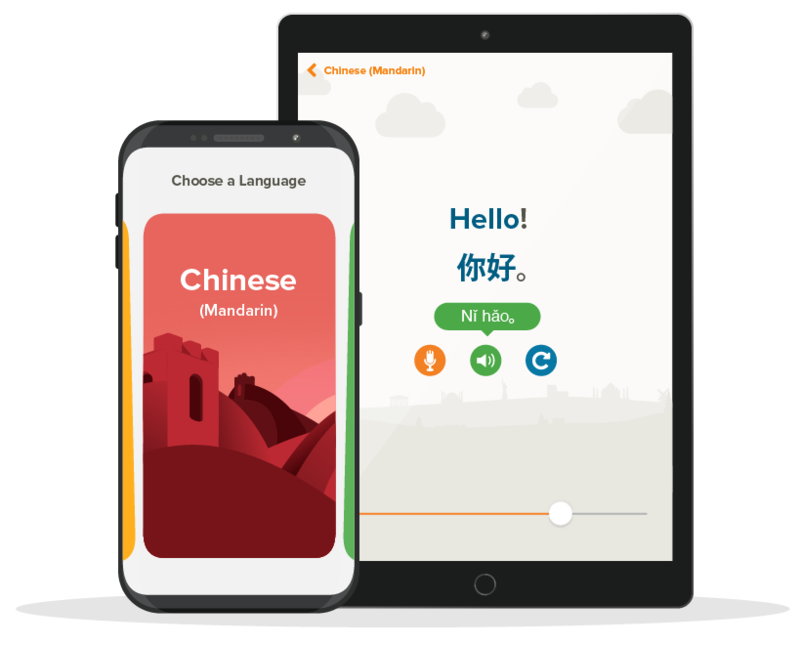 In the car, on the bus, or at the gym, your students can plug into auto play on the Mango Languages app to learn a new language. Our downloadable lessons for mobile devices are accessible offline, turning any situation into a language-learning opportunity. 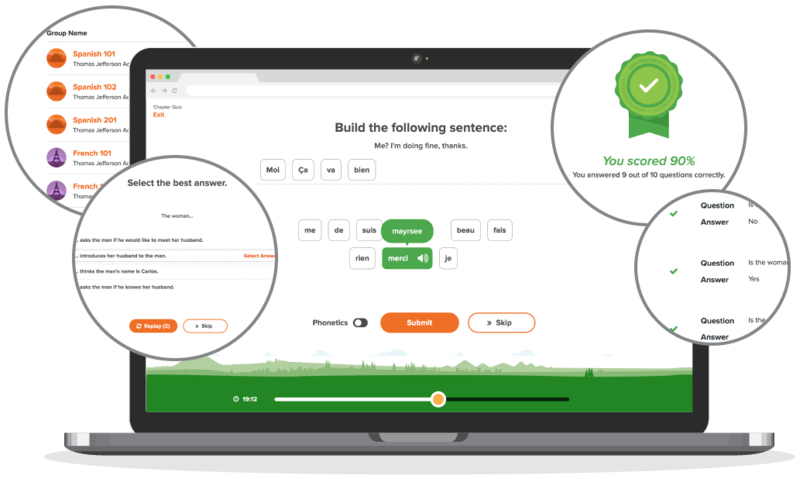 Keep students engaged in their learning and inspired by the gains that they’ve made with reviews, quizzes, and tests throughout our language courses. Instructors can follow student improvement every step of the way with Mango Languages’ online classroom management and assessment features. Designed for educators, our classroom features allow instructors to track student progress, time spent learning, engagement with a course, and assessment results for classes.